Harrison is a typical Canadian settlement. Clinging to the wilds, remote, a mixture of desolate and delightful. Full of welcoming people and for following of this blog a curious water source which is the very reason for its existence! The Harrison area is an area rich in ancient First Nation relics. The local tribe here are the Sts;Ailes (Chehalis) who established themselves along the Harrison River. 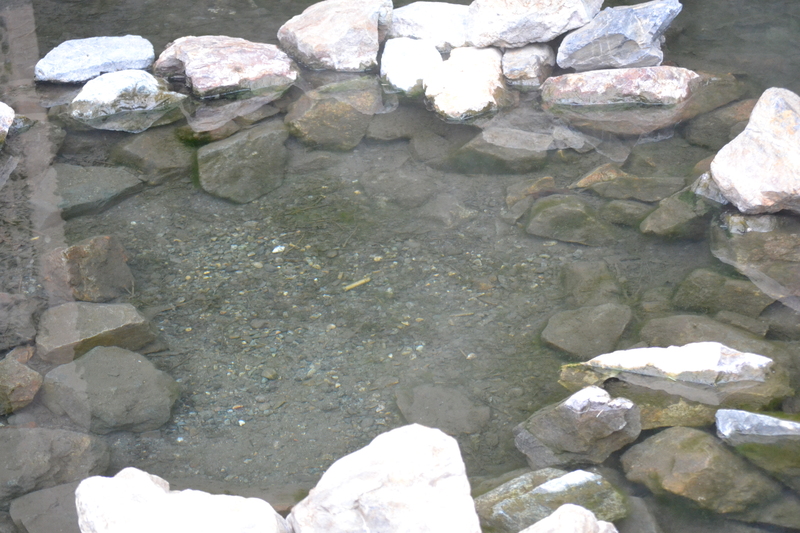 The spring was called Waum Chauk and said to have supernatural properties and had healing properties if drunk. The nature of their veneration is unclear but as a tribe their association with the ‘mythical’ Sasquatch is an interesting side observation especially as I visited on their Sasquatch Day. I spoke at length to the elder of the Sts’Ailes on Sasquatch Day who informed me that they no longer bless the source of the Harrison hot springs but another spring further around the lake edge. Water was still important to their community and the morning of the Sasquatch Day, the tribe’s holy man had blessed the lake water in a private ceremony. There are two springs nearby. One which produces potash whose temperature is 40 °C, and presumably that is the one which flows rather unannounced a few yards from the larger and more obvious sulphur spring. It’s temperature is 65 °C and this is very noticeable. The spring produces 1300 ppm of dissolved mineral solids which is the highest of any mineral spring. From the hotel a path leads to the left around the side of the lake and beneath the dense mossy woods. It reaches the source of the spring and stops. 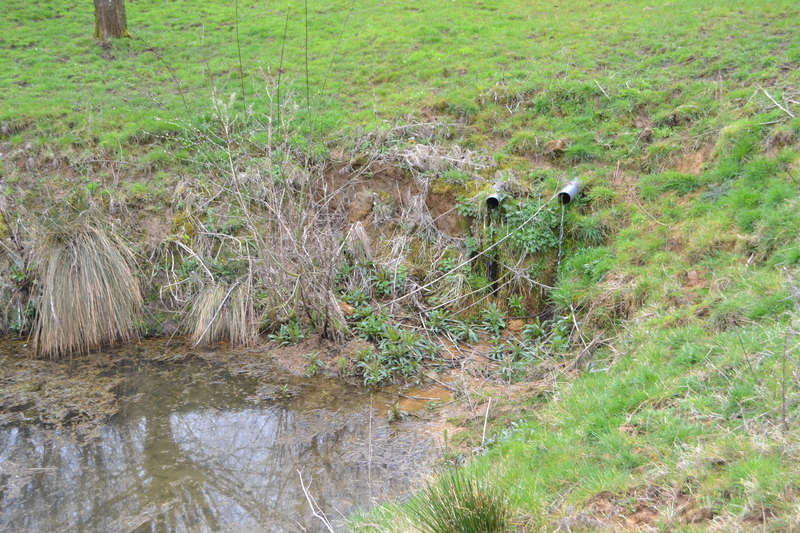 This source of the sulphur spring is like one would have imagined Bath’s sacred spring looked. The spring arising to fill in a large pool, which produced a considerable amount of steam even on a hot June day. The actual source is enclosed in an odd concrete chamber flowing out to one side. Huge plumes of hot steam arise from it and the smell of sulphur is considerable. 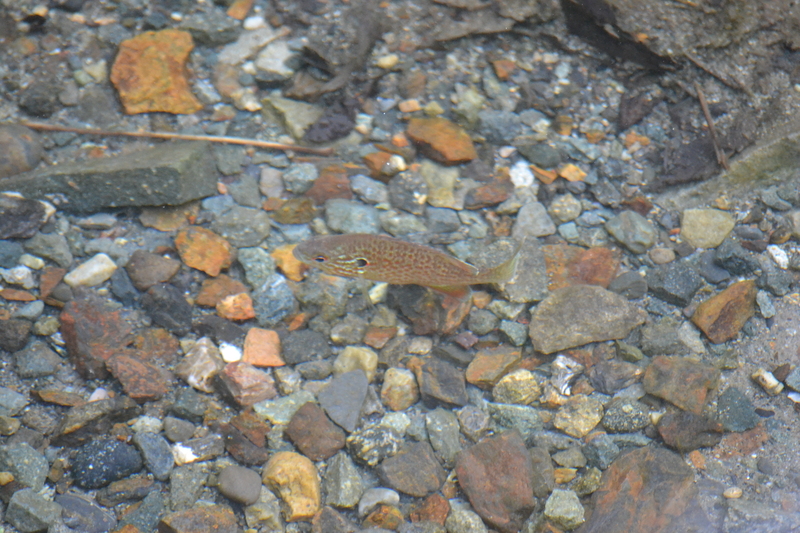 In the pool nearby are small fishes who appear to be making nests of pebbles, the temperature whilst not as hot as 65 °C perhaps, is still very warm and these species clearly are adapted to the warm waters. Discovery by the European settlement happened when three miners from the Cariboo gold field capsized in the lake and should have frozen to the their death but surprisingly they lived – kept alive by the warm waters of the town’s titular springs. Whatever the truth behind the story is unclear but soon after the discovery commercial use was being investigated. A Joseph Armstrong purchased the 40 acres of land around the spring in 1873 and set about building a spa complex. He named the well St Alice’s Well, a pun based on his daughter’s name and possibly on the original First nation Sts’Ailes. He separated the spring from the lake, which was thought to have been impossible by engineers and by 1886 St. Alice Hotel was built which could accommodate 50 guests. The building was burnt down in 1905 and the present Harrison Hot Springs hotel built nearby. 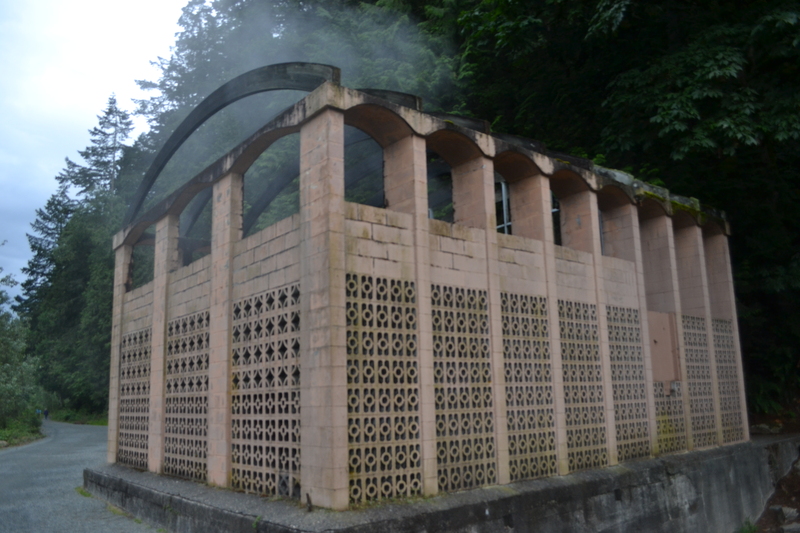 The hot spring water is piped to two locations. 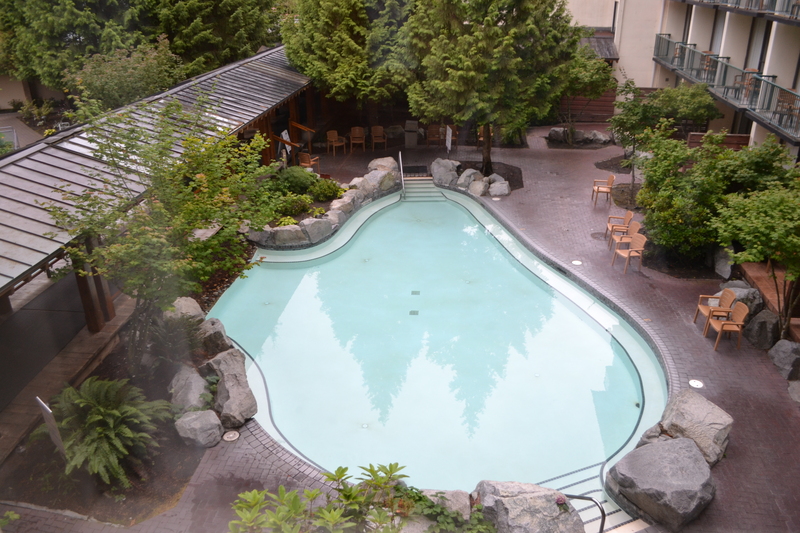 One the public baths and the other the Harrison Hot Springs resort. The Harrison Hot Springs Hotel was opened in May 1926 by a Belgium emigre Mme Marguerite de Guesseme. She stayed until 1943 when the building was taken over for the war effort. Here six baths of differing temperatures are established. If you visit Harrison, a stay at the hotel is a must. 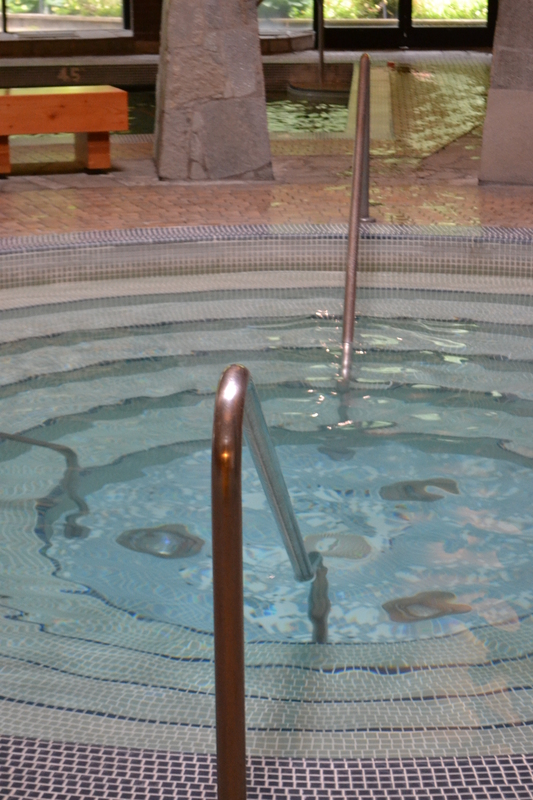 The hot spring is directly piped to a central bath of which a sign reads not to sit in there for more than 10 minutes. Despite this a number of people were ignoring this and staying for too long. 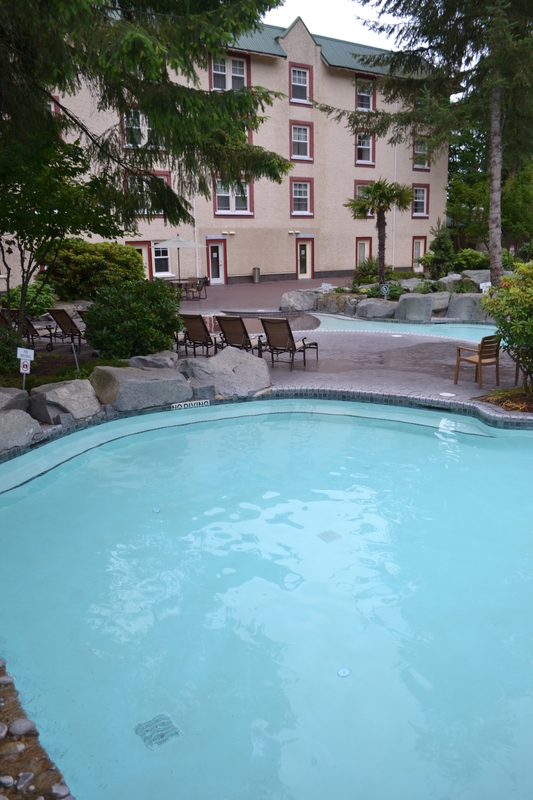 The middle temperature pool was the best and one could sit there for hours looking on the snowcap mountains ahead and listening to the cries of wild animals in the surrounding woods – or perhaps Sasquatch. Leamington and Ilmington Spot the difference! “much frequented’ and of particular value for the treatment of ‘scrophulous and leprous cases”. 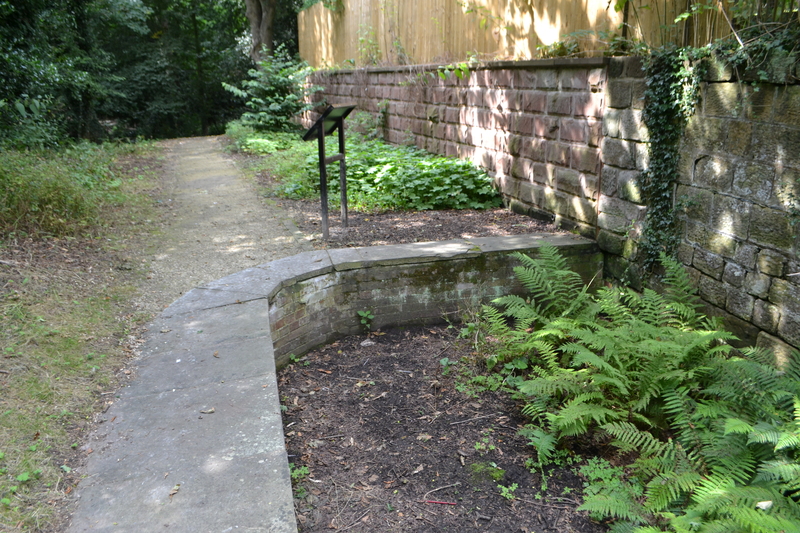 “This is a fragment of a basin installed around 1682 by the Lord of the Manor, Lord Capel to collect water from the chalybeate spring known as Newfound Well. 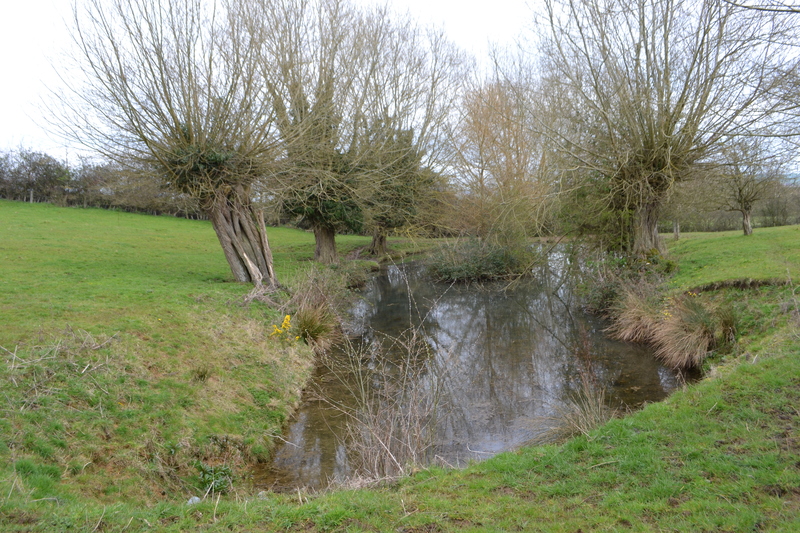 The spring (1/4 m NW of Ilmington on the path to Lower Larkstoke) was described by Dugdale (1730) as: “much frequented’ and of particular value for the treatment of ‘scrophulous and leprous cases”. Today the site is a large oval shaped pool in fields above the village. 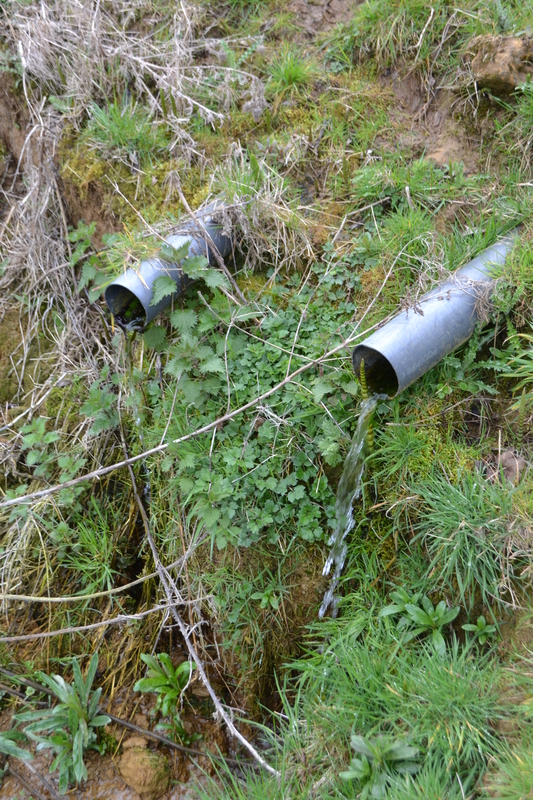 Two plastic pipes in the western end of the pool pour copious amounts of water into it which flows beyond the path into a stream. 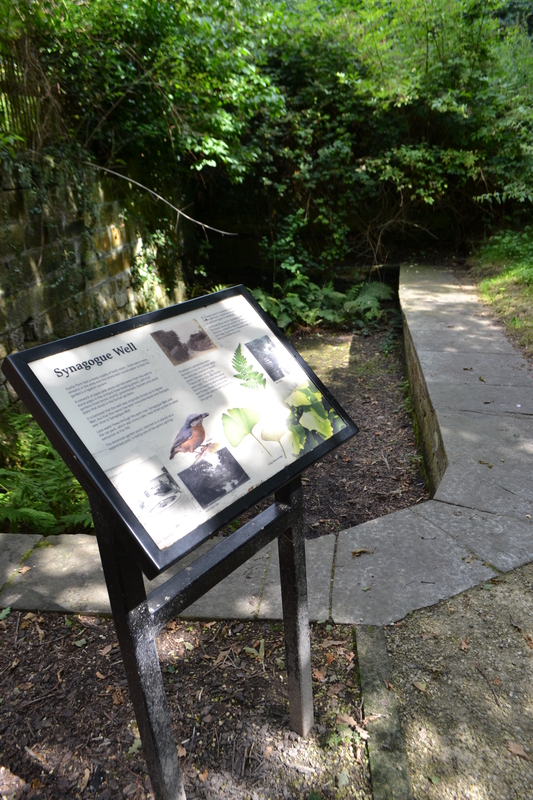 On one side of the pond can be seen stone work which may be part of the bath house, if so it is unrecorded. Standing on this remote quiet location it is difficult to imagine what the place could have been like if the spring had had more money poured into its development. 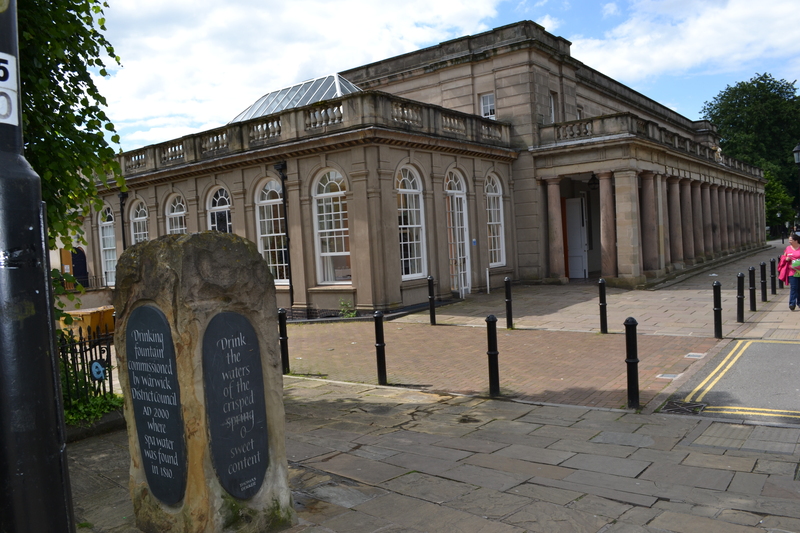 One the county’s first spas, which ironically unlike its better known cousin still flows from its main source rather from a pipe!